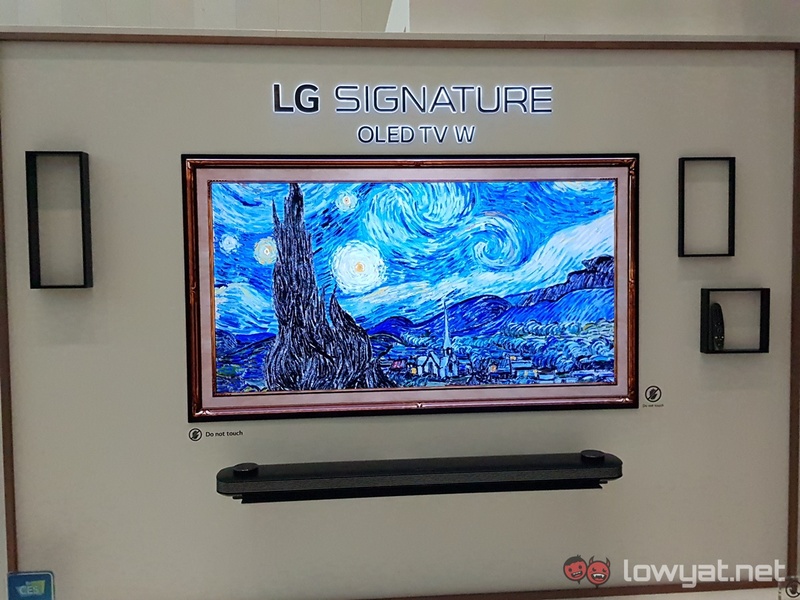 LG is making plans to bring its signature OLED TV W Series into Malaysia. The TV made its debut earlier during CES 2018, but we got a chance to see the device and its technology up close at the company’s annual InnoFest 2018 in Seoul, Korea. As part of its premium-grade Signature series, the TV is chock full of unique selling points. As a start, the TV’s frame is razor-thin, sporting a thickness of just 4mm (basically two credit cards stacked together). The TV’s thin form factor and flexible OLED panel means its can easily be wall-mounted with magnetic wall brackets (in turn, making it look like an aesthetic part of the furniture). 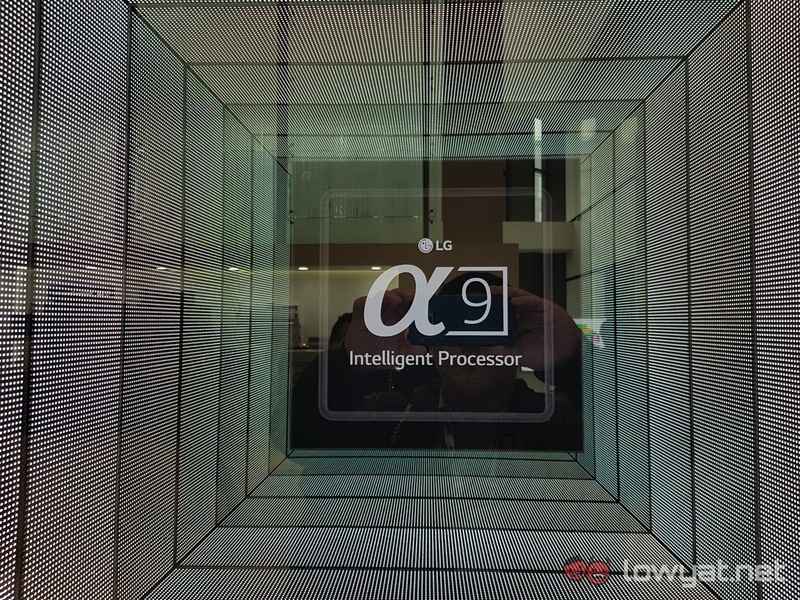 The TV also features LG’s new Alpha 9 intelligent processor, providing it with more imaging features. These features allow the OLED TV W to run videos at higher frame rates (120 fps, specifically) at 4K UHD resolution, virtually eliminating the blurring effects that one usually sees in action movies with fast-moving scenarios. 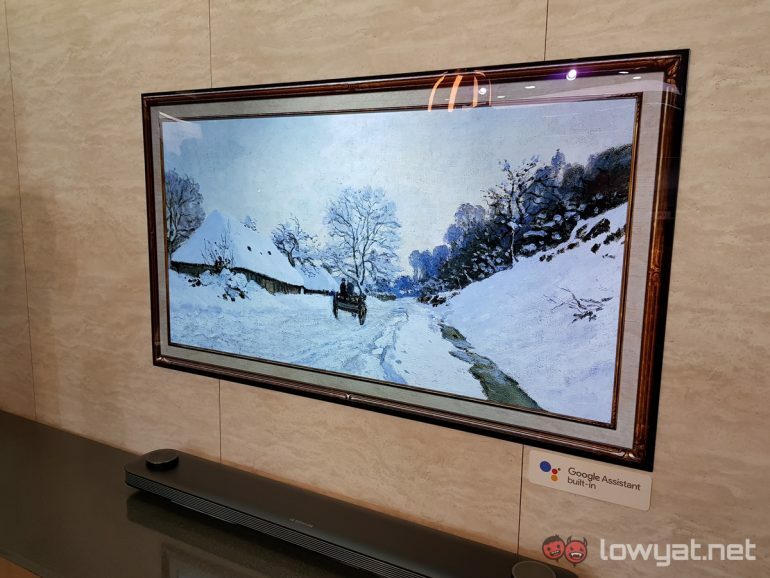 Colours and contrast are obviously also a big deal for LG, and to that end, the TV’s OLED display also supports the two currently existing HDR format – Dolby Vision and HDR10. For the uninitiated; HDR enables a TV to keep black levels at its optimal levels, which in turns allows for other colours to be projected more accurately. One major feature that LG provided the W Series is the use of Google Assistance. Specifically, Google’s voice-operated search assistant is designed to work in tandem with LG’s WebOS. Like its mobile counterpart, users can easily summon the feature via the TV’s provided remote. From there, users can ask Google Assistant questions (e.g. the weather, cooking recipes, etc.) or command it to perform certain actions (e.g. turning off/on the TV). 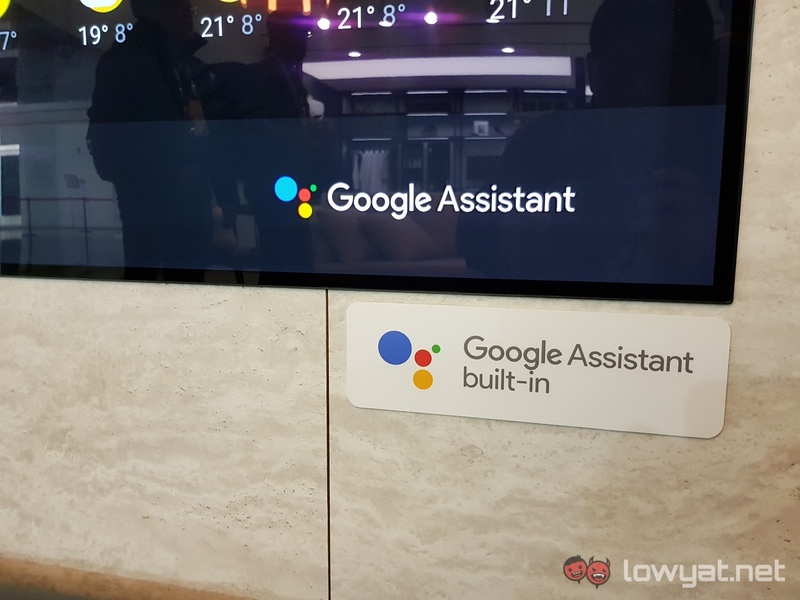 Sadly, an LG representative told us that the W Series coming to Malaysia won’t have support for Google Assistant, due to the fact that Google itself hasn’t made the function available to the country yet. Having said that, the W series will still come with LG’s WebOS. As we mentioned at the beginning, LG will be bringing in the W Series sometime in May this year, and will come in sizes of 55″, 65″, and 75″. At the time of writing, LG did not specify how much its TVs will retail for.